V.I. Enterprises, Ltd. stocks a comprehensive inventory of auto parts from some of the top name brands in the industry. We offer auto parts to customers from around Upstate New York. Our highly experienced and knowledgeable staff will help you find the parts you need quickly! Quit wasting your time searching the web tirelessly or driving from store to store searching for the right automotive part for your vehicle. Instead, choose the simplest solution and call V.I. Enterprises, Ltd.! As a friendly and knowledgeable supplier of auto parts in Glens Falls, NY, we are sure to have the knowledge and expertise to help find the parts and components you are looking for, at prices you can afford. If we don’t have your item on hand, we can special order it with super-fast turnaround to ensure you are getting it quickly. There is no better way to get the parts you need, from the brands you have come to trust. 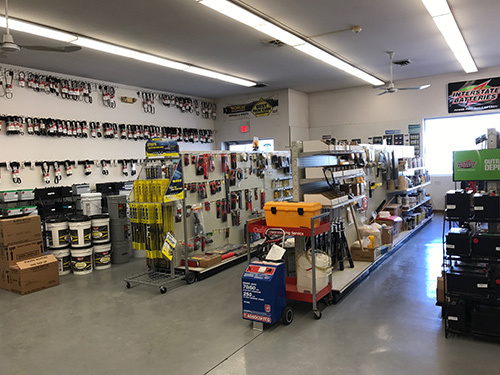 We are more than just a retail auto parts store in Glens Falls, NY, too. We also take pride in forging partnerships with commercial businesses across Upstate New York, to supply auto parts to body shops, retail stores and garages. We love the opportunity to network with businesses across the Upstate New York, to show you the quickness and quality of our auto part supply business. We aim to help you provide the products you need to your customers, and we take pride in helping you achieve new levels of success in both your supply chain and your bottom line. We invite you to contact us today and see for yourself why we’ve been a trusted auto parts supplier since the 1970s. Our business has been continuously operated since 1977. If we don’t have a part you’re looking for, we can find it and special order it with rapid turnaround. If you’re interested in a commercial account, call us for details! If you’re looking for a specific auto part, start your search with V.I. Enterprises, Ltd. Even if we don’t have it, we can get it for you quickly. Contact us today to get started.